Most IT professionals today recognize that enterprise IT will be hybrid in the future. To provide the optimal foundation for each workload being deployed, the hybrid IT environment will include cloud-based infrastructures—from multiple providers—co-existing alongside infrastructure within the enterprise data center or a hosted environment. But not all hyperconverged solutions yield the same results. 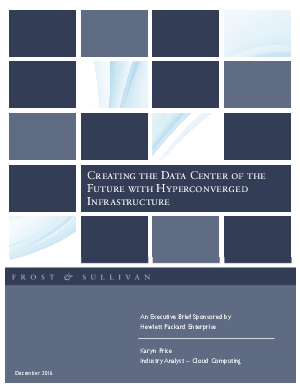 The right hyperconverged infrastructure can meet your IT needs both today and well into the future. In this paper, we will talk about where your data center needs to be in the next five years to meet changing business demands, and how the roles of IT professionals will evolve. We will also review “hyperconvergence” models, and how they can best meet your IT needs both today and in the future, as well as the benefits you can expect along the way. Finally, we discuss what to look for in the right hyperconverged provider, who will position your IT department for success.